We want you first visit, and every visit to be a great experience. Most of our new patients come to us for a check up but some come to use our Emergency Dental Service. We ask you to fill in a confidential medical questionnaire and a consent form where you acknowledge that you will be treated as a private patient. You are then taken to a treatment room where the dentist and dental nurse introduce themselves. We take a dental history and carry out an examination and perhaps take a radiograph and sometimes use an intra oral camera. We make use of the latest computer graphics and have a fantastic dental program which can illustrate treatment options. It can also help to how the various dental diseases like gum disease effect the tissues. We then discuss with you our findings and discuss the various options for treatment, these are all documented on a written itemised treatment plan which patients can take home. At all stages the patient in involved and we encourage them to ask as many questions as they wish. 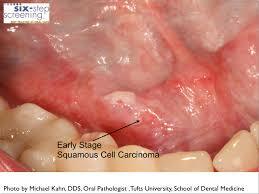 Oral Cancer is very common and the number of cases is increasing all the time, especially among the 20 to 40 years old. 1. Discussion of the Risk Factors. For example Smoking (including some recreations drugs), alcohol and certain adult recreational habits. All our dentists are trained to carry out a cancer Screen and we take this very seriously. Last year we identified more cases that turned out to be possitive than we did in the previous 5 years. 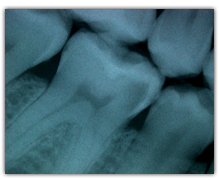 We have to say that without x-rays it is normally not usually possible to give any definitive treatment plan, and/or have any idea of what is going on under the teeth, and/or know what the condition of the periodontal structures are. Therefore we encourage patients to bring any previous x-rays with them or we can, if needed, take them ourselves. We offer a Free Orthodontic Consultation and at the end the patient will get a written treatment plan with choices and costings for treatment options. Patients pay £25.00 to make the appointment and the £25.00 deposit will then be is refunded on arrival for the appointment. This is with one of our senior dentists, either Monica or Gul, and you will have a full examination and get a written treatment plan at the end. Dr Ezgi Cilingir whose practice is limited to Periodontics and Dental Implants. Patients will have a full examination which normally takes 1 hour and get a written treatment plan at the end. Some Patients need a shorter examination related to a specific problem such as a frenectomy which normally takes 30 minutes. Dr Alvaro (George) De Castro Torres. We offer a free Tooth Whitening Consultation. It is designed to assess if the patient is suitable for Tooth Whitening : not all patients are. The Tooth Whitening consultation is normally with our Dental Hygienist. 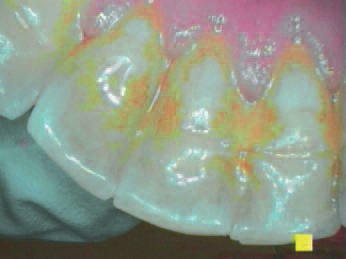 SOPRO: a new imaging fluorescence device aiding in the diagnosis and treatment of caries. 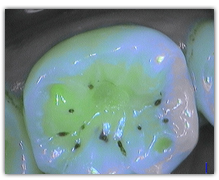 The auto fluorescence technology in SOPROLIFE allows our dentists to detect occlusal or interproximal decay, even in its earliest stages, which can often be missed by the eyes or by x-rays. SOPROLIFE allows our dentists to differentiate healthy from infected tissue in order to excavate only the tissue which is diseased. SOPROLIFE functions “live” in three modes and is free from ultraviolet or ionizing rays. 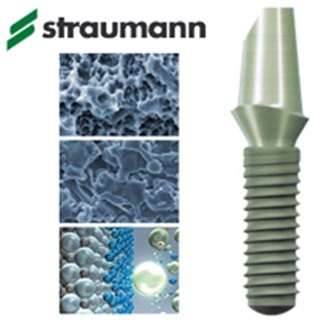 SOPROLIFE allows the characterization of lesions at different clinical stages without loosing consistency. This is accomplished with image magnification of 30 to 100 times. SOPROLIFE images produced in the treatment mode show a differentiation of pre-operative healthy tissue versus diseased tissue. SOPROLIFE is the only concept in the world to offer two different visions. 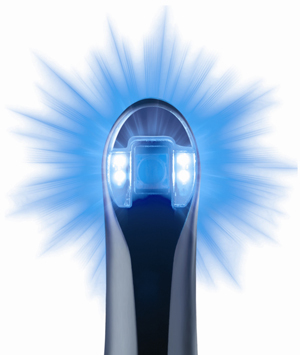 The Daylight Mode allows the dentist to use SOPROLIFE as a white light intra-oral camera providing images of unmatched quality! Adapting itself to the most complex clinical situations, SOPROLIFE allows our dentists to rapidly adjust their treatment choices. Linked to SOPRO IMAGING software, our dentists now have the ability to have a customized follow-up adapted to the needs of their patients. Its just a Simple Hand Held Camera!! 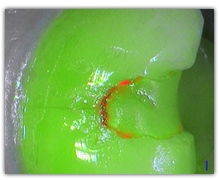 The image of fluorescence confirms the presence of a renewal of the caries. The camera allows us to show nut just the plaque but also to give an indication of how of the plaque is. 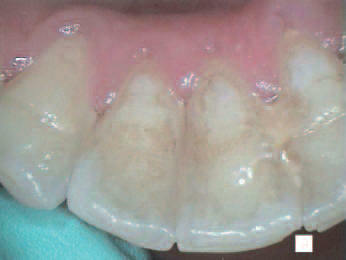 Gingival inflammation can range from hues of pink all of the way to deep magenta. New plaque is highlighted by its white and grainy characteristics and old plaque is revealed as shades of yellow and orange. 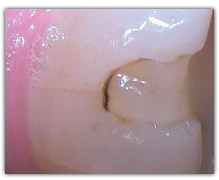 The SOPROCARE camera when used in “PERIO” mode makes it all the more effective and indispensable by not just illuminating new plaque, old plaque but also the gingival inflammation. Early identification of these conditions results in early intervention and minimally invasive treatment, while also educating patients on their clinical needs. It means that we can show not simply what was missed on the last toothbrish cleaning, but what was left for a few days!! Much more obvious that the naked eye and much less messy than disclosing tablets!! Using the Sopra Camera is very useful as not only is the decay very obvious but we can also reduce the amount of Xray Radiation to the patients. 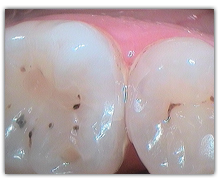 The one above is what you see with the high quality low dosage xrays we use, and the decay is confirmed. Modern technology is the way forward. 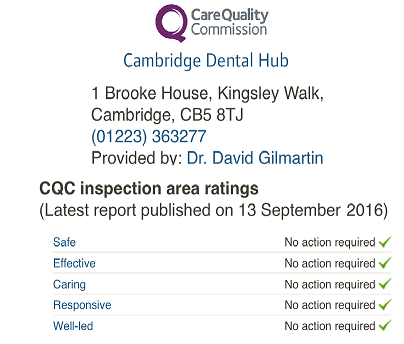 It allows us to be far more accurate and therefore it reduces the costs of treatment and improved the patients dental health.
" According to the latest developments in digital dentistry, we use the latest model of Medit intra oral scanner to get digital impressions for our lingual orthodontic patients. No discomfort due to impression trays and materials, accurate representation of the dental occlusion, speed in acquiring the desired results"